Indian continues to offer an incredible range of apparel (on sale through dealers) and for 2018 the range is bigger than ever. A new addition for 2018 are sunglasses; the first time these have been available from Indian. There are also new riding and casual jackets, casualwear and a comprehensive collection of personal accessories and products for a rider’s garage or man-cave. 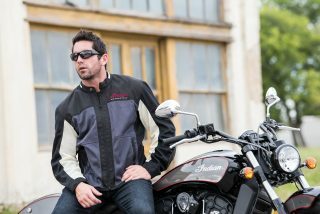 The riding jackets include the Shadow Mesh and Drifter Mesh, perfect for the summer, while the Bomber Jacket and Loretto Jacket are designed to be worn off the bike. 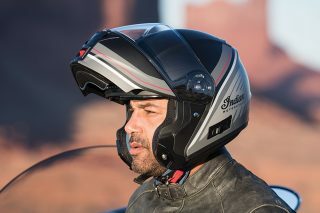 Helmets include the Route Modular, the Freeway Full Face and Liberty Jet. 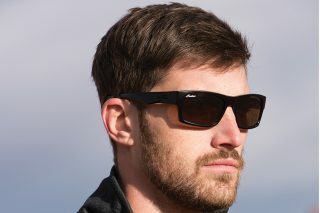 Indian’s first eyewear range consists of the Lifestyle, Entry, Semi-Pro and Performance Sunglasses, each designed for motorcycle riding with differing levels of features. The top of the range Performance Sunglasses have photochromic lenses that react to light, along with foam eye-cups that will allow you to ride with these glasses in all conditions. Finally, Indian has partnered with the Rokker Company® to offer branded Original and Raw Jeans, using premium denim combined with Schoeller®-Dynatec for abrasion resistance. Photos of all of the items in the 2018 Apparel & Gifts brochure can be found on the Indian press website here. Journalists are welcome to download the dealer brochure here and review requests can be made to your local PR & Marketing specialist. 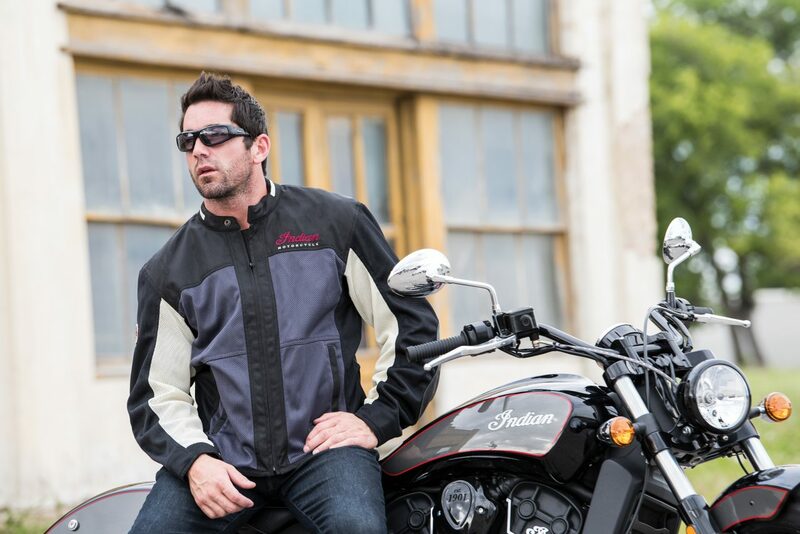 The main image for this release shows the Drifter Mesh jacket and the Performance Sunglasses.